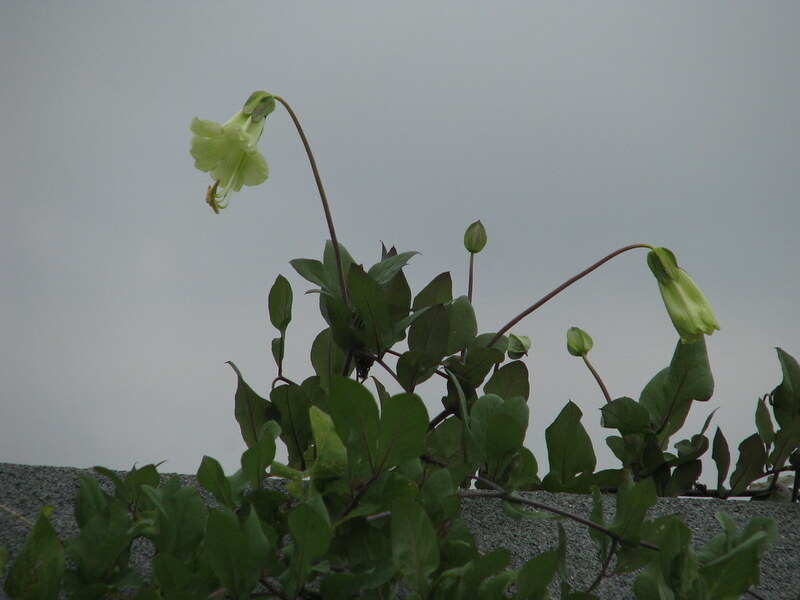 A hardy herbaceous perennial relative of the familiar half-hardy cup-and-saucer vine, C.scandens. Having white flowers it's not as spectacular as its tender relative but still a lovely thing. 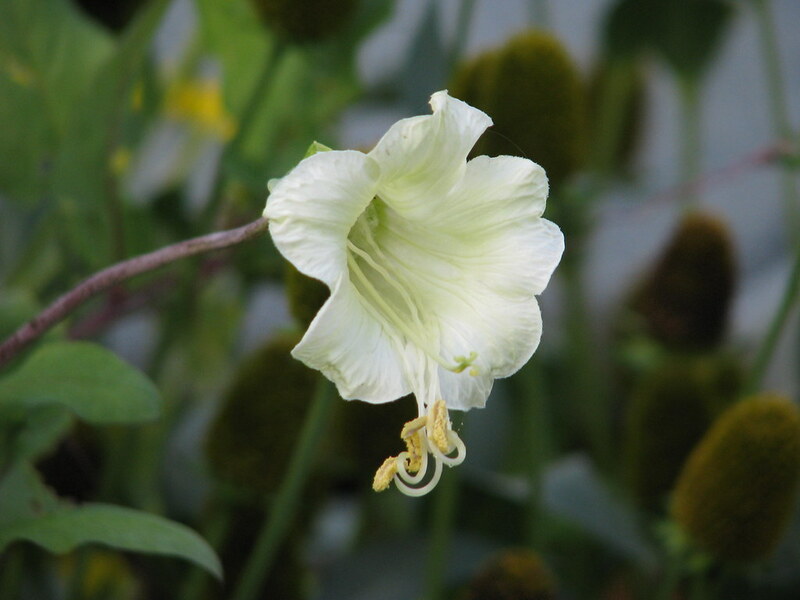 I grow it in a sunny spot on a well-drained but rich soil, with a thick strawy mulch in winter just to be on the safe side. It dies down completely in winter. The only down side is perhaps its vigour - once it gets going it's a big plant capable of covering about 10-12ft in a single season so make sure you put it somewhere where it can roam free. It tends to start late and flower late too so provide warmth and shelter. Always in short supply - I wish I could find a way to produce more of it. I always sell out by the autumn and start some new ones in the spring.